Is there a better alternative to Photosynthesis SX? Is Photosynthesis SX really the best app in Photography category? Will Photosynthesis SX work good on macOS 10.13.4? 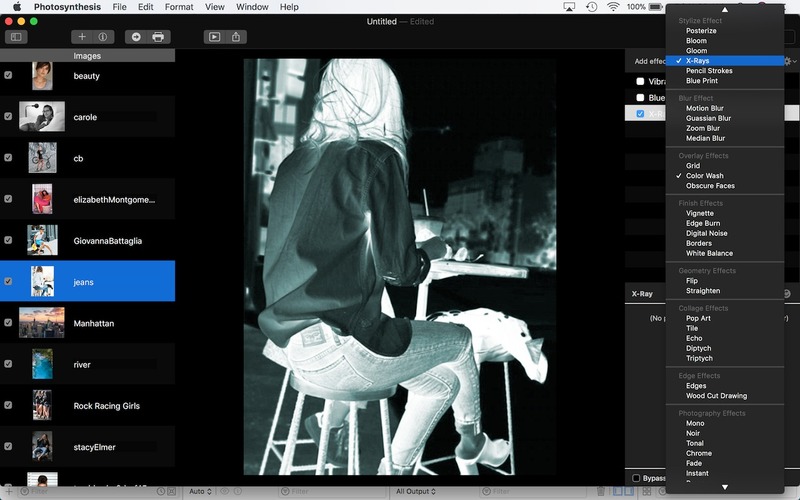 Photosynthesis SX lets users create and apply multiple filters to a batch of images, creating a consistent output appearance that can be exported, shared and printed. Photosynthesis is an essential tool for photographers, editors and designers. Image Effects - More than 70 built-in image effects are available to apply to items in the Photosynthesis Tray. 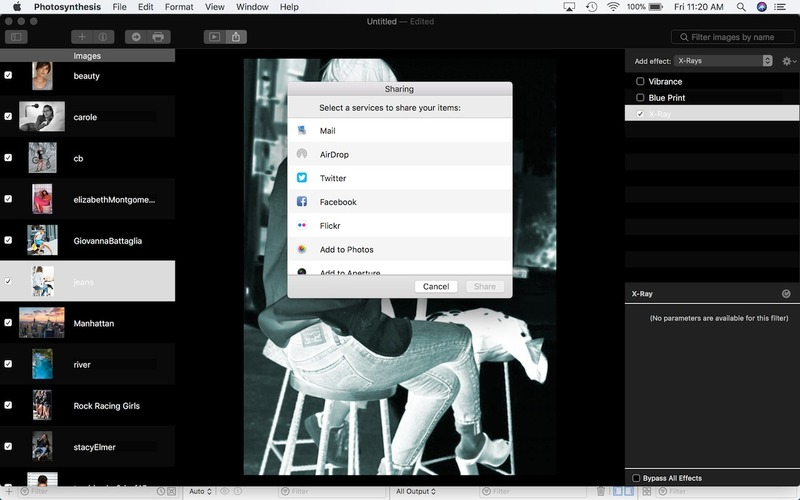 Exporting - Output images are created in the background, enabling you to continue working without waiting. Photosynthesis SX needs a review. Be the first to review this app and get the discussion started! Photosynthesis SX needs a rating. Be the first to rate this app and get the discussion started! 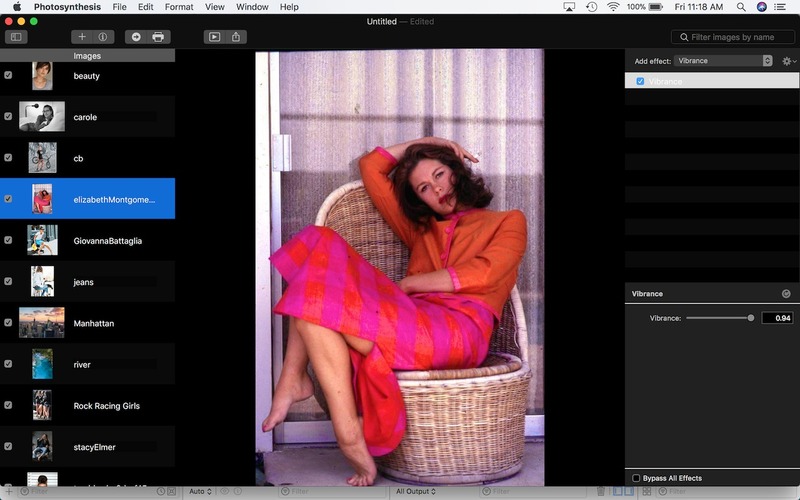 Interoperability - Drag'n drop (or copy) high-resolution images from Photosynthesis to other applications or the Finder. Settings - Use the copy and paste features to quickly replicate settings from one item to another. 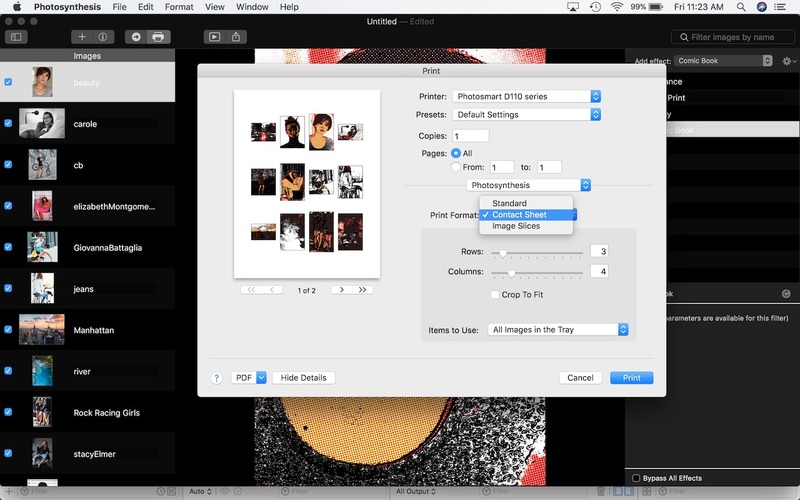 Printing - Print high-resolution source material as a single image, on a contact sheet or as image slices. Sharing - Share your images with other local applications or Facebook, Twitter or other popular internet services. 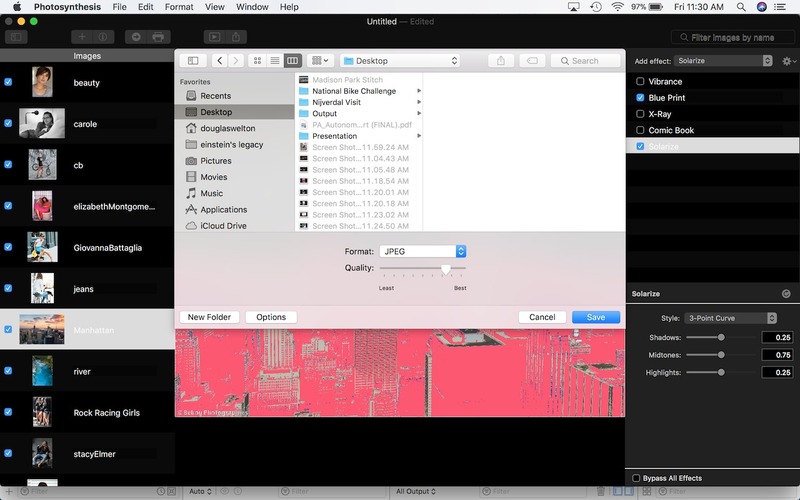 Slide Shows - Quickly create an interactive presentation using your filtered images.